Beginning makes the heart beat faster, says Emer O'Kelly. Laura is 38, Danny is 42. They're both damaged, leading to both of them being disillusioned and therefore single. It's 3am in Laura's flat in London's Crouch End (she went for one bedroom rather than two to allow her to buy in a better neighbourhood). The house-warming party has just ended. Laura's an achiever (managing director of her company ain't bad) despite her 10-year relationship having broken up several years earlier. Danny's much lower down the corporate ladder and miserably aware of it. He hasn't seen his seven-year-old daughter since she was three (her mother moved to Cornwall after the divorce), and he has moved back in with his parents: I used to think nothing could be lonelier than a bad marriage, he tells Laura. But sitting with your mother and nan in their living room on a Monday evening beats it. 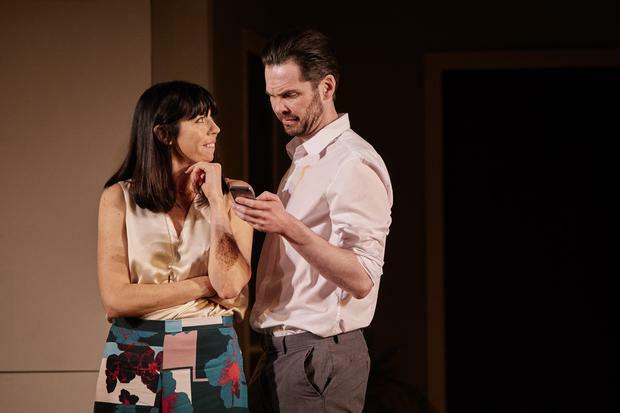 David Eldridge's play Beginning is a needle-sharp examination of what used to be called the dating game when viewed from the disillusioning reality of approaching middle age, allied to the inevitable wariness born of past disappointment. Dating from 2015, but not premiered until 2017, it paints a world of searching for intimacy through actual nervous human contact, unbuttressed by the apparently wary safety net of internet dating sites. Laura is in a hurry. She wants a child - passionately - and in a torrent of fantasy she describes a world of part-time work to allow her to spend more time with her children, driving an SUV to pick them up, and living in a big house in Essex. Danny can't give her that, he says, and anyway he doesn't sleep with people unless he's prepared to get involved: the untruths of internet dating have made him wary. At the core of this cleverly mature and compassionate contemporary play (it's played in real time) is vulnerability. Laura is prepared, desperately, to come on strong to get what she wants, but still shies away from totally revealing herself. Danny is even more unsure: numb with grief from sheltering behind the loss of his little girl, he has built his wall even more thickly. And now, in the middle of a drunken night, will they trust to a new beginning in a world where intimacy has become a game? The Gate production comes with the recommendation of two of Ireland's finest actors, Eileen Walsh and Marty Rea, in the roles, so it was unlikely to disappoint. But under Marc Atkinson's soaringly magnificent direction, it has you on the edge of your seat, mainly due to the determined courage of not being afraid of stillness - you can almost hear your own heart beating in sympathy with Laura and Danny's tentative approaches to stripping away the defences. The production is atmospherically designed by Sarah Bacon, lit by Sinead McKenna, with sound by Kevin Gleeson. You wouldn't expect it to work: an actor playing a real character addressing an empty bed in which another real person is supposed to lie dying. As well as addressing the bed, he has to paint both their backstories in case the audience is ignorant of them. Yes, maybe it would be improved by having a second actor, but the one-man format actually does work. 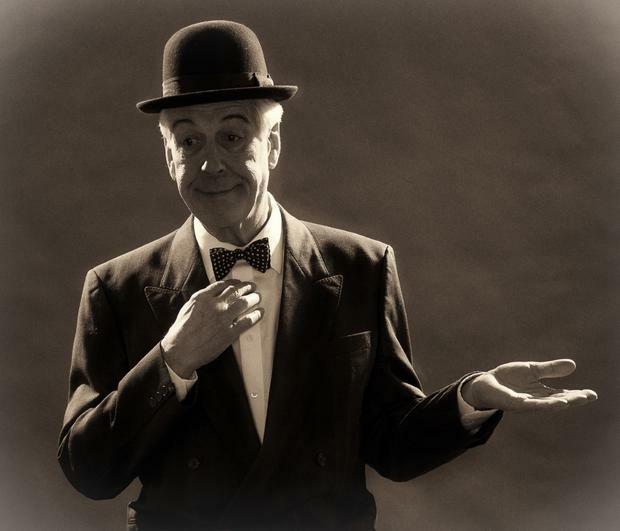 And This is My Friend Mr Laurel is by Jeffrey Holland and Gail Louw, and played by the former in the role of an ageing and somewhat embittered Stan Laurel, visiting the dying Oliver Hardy ("Babe") in California. It's 1957, and Hardy will die less than a year later, while Laurel will live on to 1965 (finally receiving an Oscar for his contribution to film comedy two years before his death). Holland chronicles their lives with considerable skill, up to and including the "10 marriages between us" ( three for Hardy, and seven for himself, with one wife featuring twice, a feat later to be emulated by Burton and Taylor). We also learn of Laurel's devastation at the death of his infant son a few days after birth, a tragedy from which Stan apparently never recovered despite his later loathing of the baby's mother who gave him his only child, a daughter. Holland does an excellent job of switching moods, and is remarkably skilled at switching from real-life Stan to addled on-screen Stan. It's a charming piece, at the Viking Theatre in Clontarf, and touring smaller venues for several weeks.